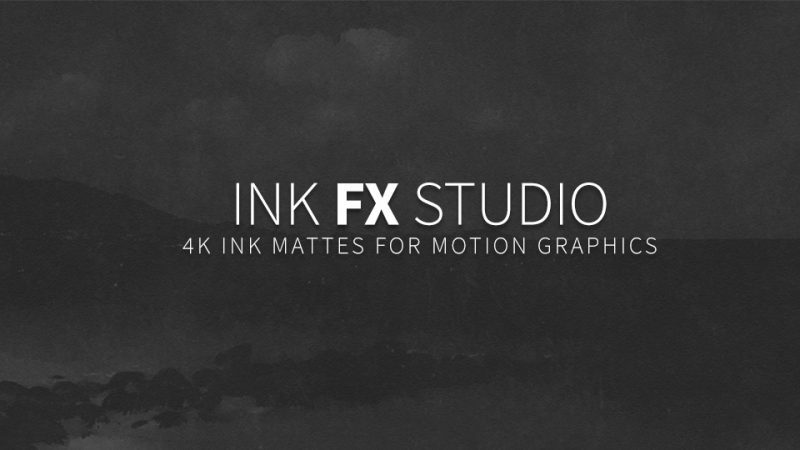 Ink FX Studio is the latest stock elements pack from RodyPolis, giving you 4K ink mattes, drops, and bleeds for your motion graphics designs. These are perfect for giving your motion graphics an organic painty/bleeding look to them. Ink FX Studio gives you a lot of bang for your buck, offering you tons of variations including small ink splats, large ink swarms, diagonal bleeds, and much more while being extremely affordable. Being actual filmed elements, these inks have a nice organic motion to them with some actual texture as well to help bleed into your elements nicer. My only complaint is that I wished these were shot at a higher framerate, perhaps 60fps, so time-remapping would be easier. Overall, I think Ink FX Studio is another solid product by RodyPolis, giving you affordability without compromising quality. With so many variations of inks, 4K resolution, and tons of textures, the product is a steal if you need some quality ink assets for your motion graphics project. Hey Vin! Great find on this one! $50 is pretty cheap along with the discount code which made it even cheaper for what we’re getting at such quality, grabbed it right away haha, thanks for sharing! Can we use this on the Contest?